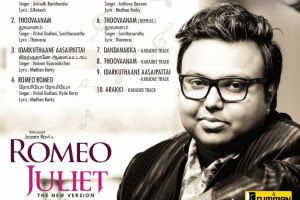 As the tittle says, Romeo Juliet is film centered around love, but its not your classic cult film which the lead characters goes against the world to prove their love and become one of the greatest love story of all time. No this is a love story with a modern touch to suit what the director's image of how Men and Women in the current generation perception of love and relationship. I repeat it's the director's view on things and doesn't represent the entire truth. The story is very simple in this film actually. Boy looks for his dream girl to fall in love and get married. He believes he will know who the one is when he meet's her for the very first time (yes love at first sight and he is ready to marry). Meanwhile girl's definition of love and marriage is that the guy has to be good looking and above all MUST BE RICH. The heroine is air hostess and one day she bumps across the hero in her business class flight and sees him being requested to sit behind someone influential and famous on that flight. Believing he is rich and handsome, she tries to impress him with her looks but that din go to plan. It is here where the heroine realizes that love isn't about money but care and ditches the wealthy man back for the hero who is about to be engaged to this other girl. In the process he teaches her a lesson via public humiliation before a twist in event where he ends up with her. Although I feel at times the film was abit stuck between a romantic comedy and a melodrama but overall the film does well with alot of sequence that will make you laugh and is worthy of an one time entertainer. 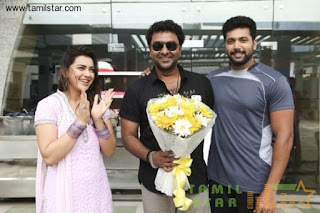 Never much a fan of Jayam Ravi but I think now he is slowly finding where he belongs in the hierarchy of Tamil actors and looks like he has found what would be his best strength. I never rated him as a commercial hero or an action hero despite his good physique but he seems to ace it as romantic comedy hero or what is known as The Chocolate Boy. So this film fits him perfectly like a "T". A helpless romantic who is also a gym instructor. Just the perfect role for the man and he delivers it very well. He seems so convincing as a naive guy and evokes his emotions well. Scenes which involves him being angry was a delight to watch where you will be convinced the guy was piss mad and you don't want to mess with him. His only weak point in this film was his dancing but well not everyone is natural dancer and I don't see it much of a plus feature for a hero. He justifies his role well and showed why he was the right pick for the film. They can replace him with out hero's like Simbu or Vishal but I don't think they would do justice to the role like how Jayam Ravi did. 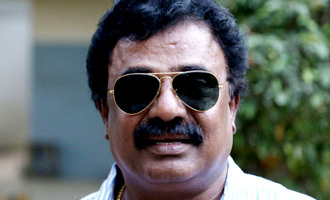 This were the other two characters who had any real weight on the film as well as the wealthy mappilai. Both of them did well and it was good to have Poonam back in films after a long time although its not really a role that would suit her. Yet she did well to woo the crowd with her performance and I was rooting Jayam Ravi to end with her instead of Hansika actually. VTV Ganesh had a minimal part to make his presence felt. Had only a couple of real scenes where he could evoke his humor and in those times he did well before his character gradually fades out and you wont feel it. The storyline than konjum idikithu as u said.. Will back to this again once I watched the movie.. Since it has a somewhat negative portrayal of the heroine character, I wonder how would our mutual friend react to it. But sounds interesting overall, will watch it when I get the chance.